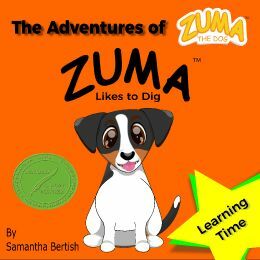 The Adventures of Zuma the Dog - Zuma Likes to Dig. The first story of our books series where learning about time Zuma digs in his garden at different times of the day. Come and read to see what he finds. Finalist in the Wishing Shelf Book Awards in 2015.